With a range of road construction and infrastructure upgrades taking place around Australia, rollers are a sought after piece of equipment. Eireka currently has a range of smooth drum and padfoot rollers for sale of the most trusted brands including Hamm and Dynapac. Known for brand and product variety, Eireka can provide customers with rollers for sale of varying sizes depending on their requirements. 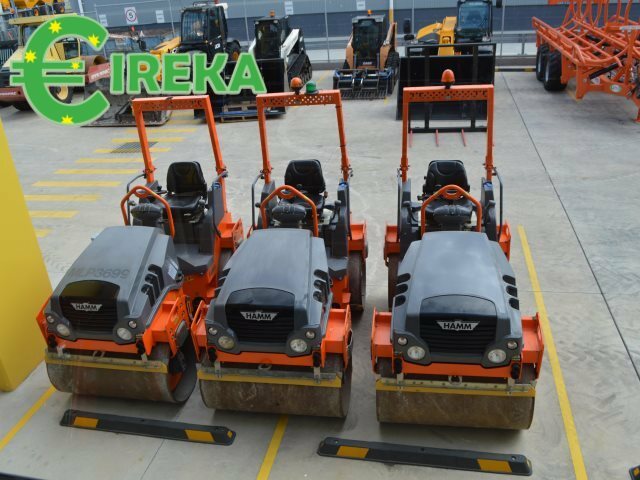 Some of Eireka’s customers require a smaller roller to do asphalt or a driveway, whilst other customers may require a larger roller to perform duties on a sub division or road project. Please contact Eireka for a full list of rollers for sale.